Monday afternoon the boys started picking plums. It turned into about hour of work to clear out our two trees. 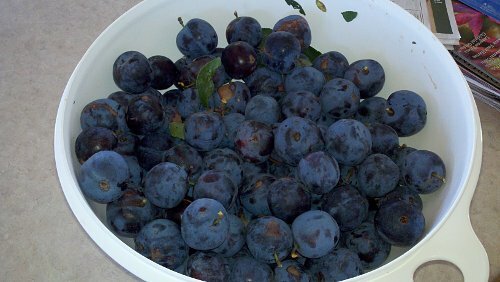 Then Cristy started washing the plums. 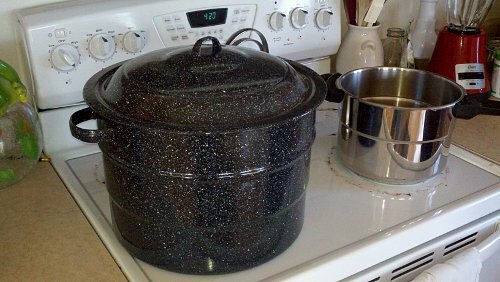 Then the cooking & canning process starts on the stove. 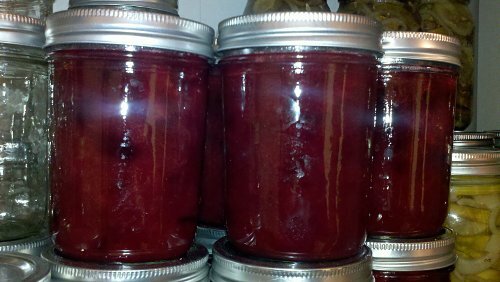 I think that Cristy canned about 20 pints of plum jam yesterday. I think that it is safe to say that we will not need to buy any jelly or jam for another year. 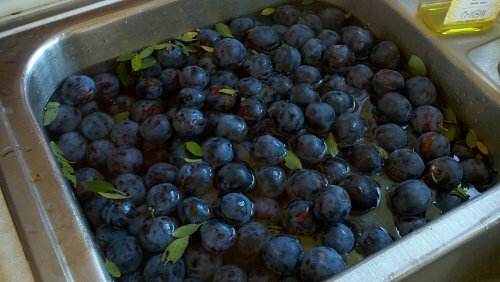 We have used up most of the jam from last year's batch of berries & such.